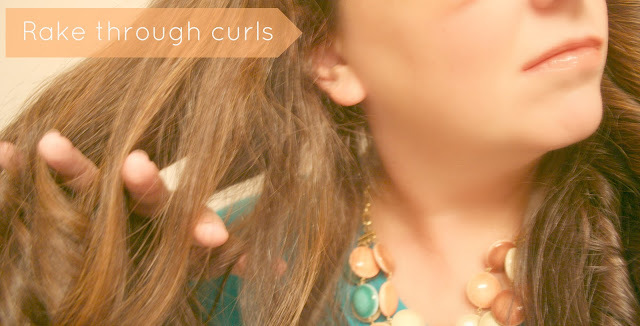 I've missed having some curls around here, so I hope you enjoy this tutorial! Brush and spray hair with heat protectant. Plug and turn on curling iron. Choose as low of a setting as you can use to avoid damage. To make this process faster, I divide my hair in half, with hair over each shoulder. I also like to work from back to front, placing curled sections to the back as I complete them, but use whatever method you'd like. 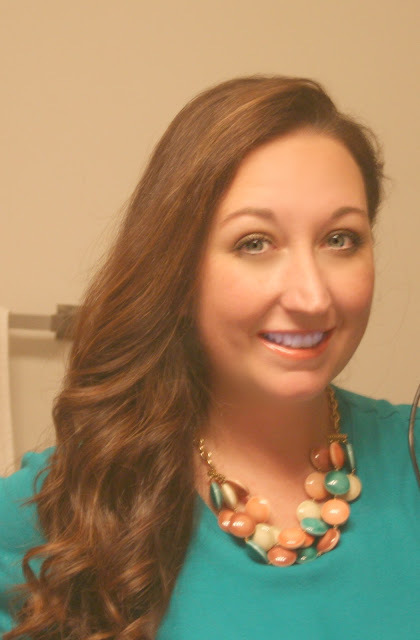 Use 1 inch sections for this hairstyle, just like the curling iron's barrel. I chose this size because I wanted tighter curls, and since so many of you say that curls fall out for you, the hair will still look pretty once the curls fall. 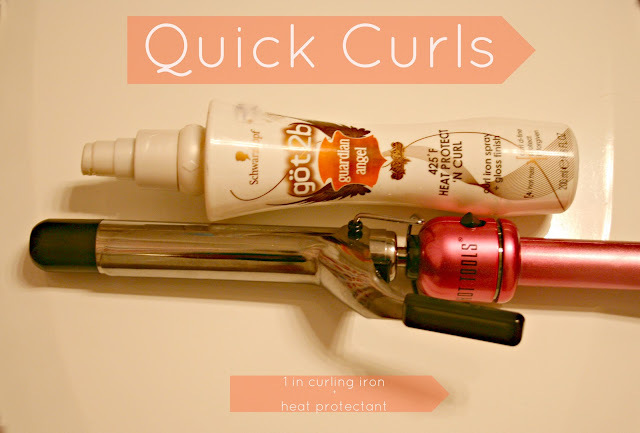 Use a smaller barrel for tighter curls and larger for larger. 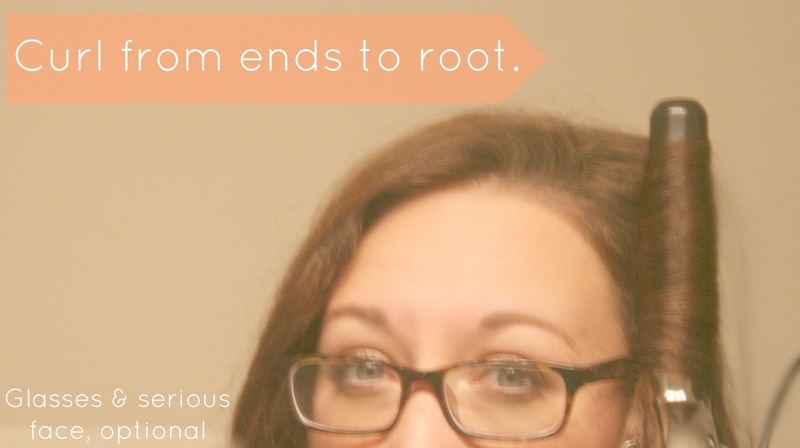 Curl from the end of the hair to the root, twirling the wand just like you're wrapping your hair in a roller. You aren't doing a spiral wave here, so no wrapping the hair around the barrel; roll it up. 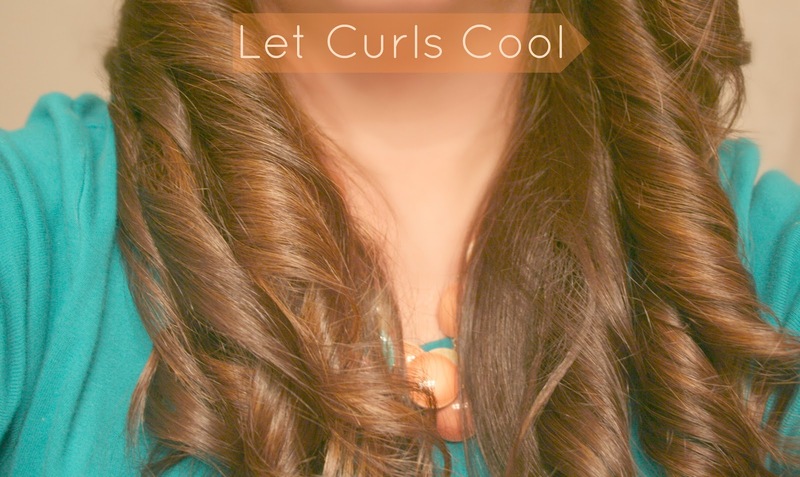 Let curls cool to avoid curls falling out faster. Shake out curls by raking fingers through them. Don't brush your hair. 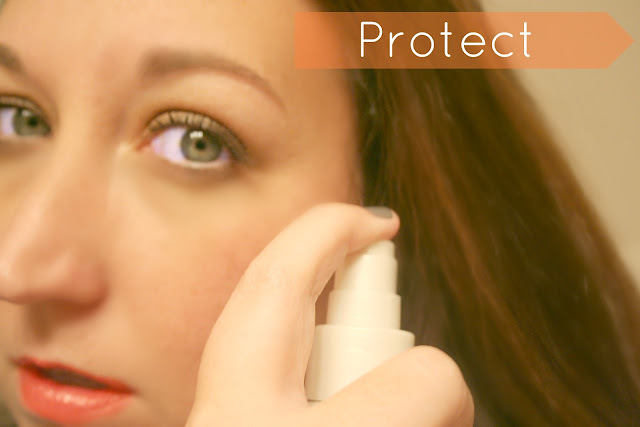 Spray with hairspray for hold if desired. This should take about 5 minutes of curling and 5 minutes of cooling. That's it! Have a request? Email me. Please help me reach 1000 followers by my birthday next month. Thank you! nice curly hair, good on you! The curls look good! Protecting my hair is the one step I'm guilty of not doing! 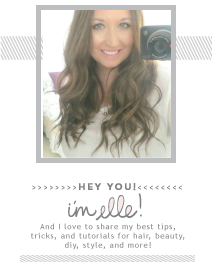 Have a great weekend to you too, Elle:) And love how your curls turned out! 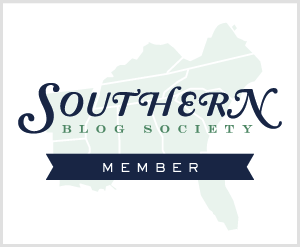 Giveaway on the blog, go check it out!! These curls are beautiful! 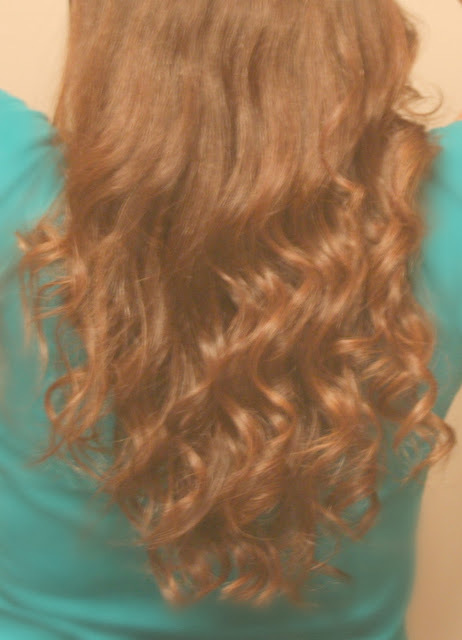 It seems to me that no matter how I try to curl my hair, it never turns out! Such pretty curls. Much as I'd love to try it on my hair,sadly mine would have straightened out after an hour or two. Have a great weekend! Those are great curlers (and great skills) - they give really nice shaped curls. Very pretty. Thank you for sharing. You make it look very easy. I love plans like that for the weekend. I unfortunately have to go to my very first football game. Maybe it will be more fun live then watching it on tv. Your hair looks great curly. Wow! All of that in only 5 minutes--impressive. I have to curl all the way from the ends to the roots like that. great post! I also love that necklace you are wearing! Great post!! You have really pretty hair! I love your DIY projects! And I am definitely going to try your apple scrub!! Wow, the curls look great & you look wonderful! Hi Elle! Beautiful curls! I do mine the same way:) And yes, weekends with no plans are the BEST! I hope you enjoy it. I love everything about this! your curls came out perfect and you look stunning! Wow you have fabulous hair! the curls are perfect! 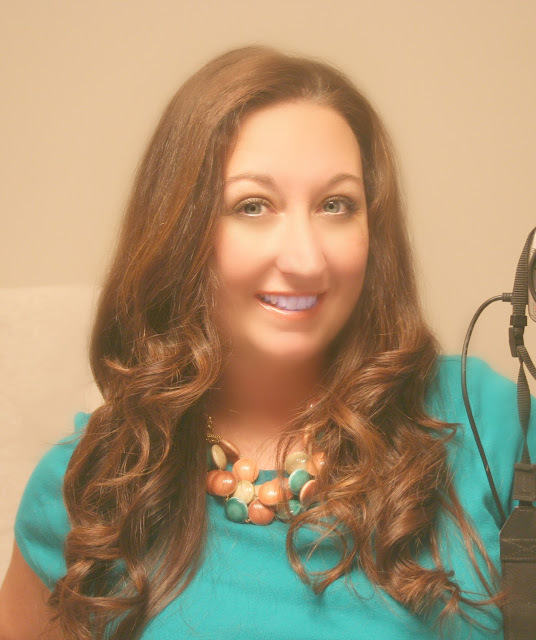 Just helped you get one follower closer to 1000 ;) I love having curled hair, I'm always looking for new curling methods. There's tons out there! Thanks for sharing. I do my hair like this nearly every morning. Love it! your curls are beautiful! and i LOVE your necklace! Thanks for stopping by! I'm looking forward to trying some of the skin tips and tricks you have! And, your curls look beautiful! Amazing! Love how quick and easy this tutorial is. You look lovely! 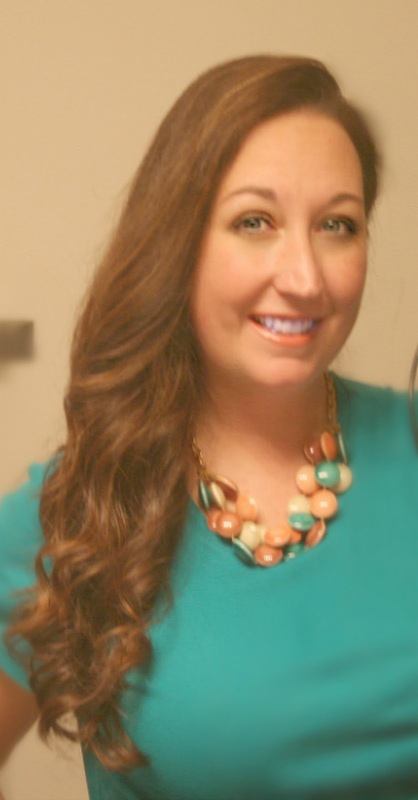 Pretty curls and fun necklace! Have a great weekend! You're going to think I'm nuts, but for the longest time I used to brush my hair after curling and always always ended up with a frizzed out mess - you'd think I'd learn! I love your one shoulder look. Your curls are so pretty! Following you back girlie! Pretty! Hope you havea happy weekend! Hi Elle, love this, it will be a great break away from straight hair, Can you use any type of ruling iron, wide barrel or narrow? Great tips! Love that necklace! Beautiful hair. I wish I could play like this. Thats a great tutorial hun! I'm useless at curling my hair, it always just falls out after like 15 minutes! Yours looks lovely though! Hope you have a great weekend sweetie! thanks for the follow, now following you back on gfc. great tutorial! Your hair looking beautiful. I'm going to attempt to curl my short bob for tonight! I really need to get one of those wands... The weather here is not straight hair friendly... Ha! you really have such beautiful perfect hair! so lucky! OMG your hair is GORGEOUS!! I'm so jealous!!!! Hope you are having a lovely weekend darling! So cute! love the way they turned out! Love the curls. So pretty! your curls are always so pretty! Your hair looks beautiful! I love the quick curls! It is similar to the technique I use when I work with a curling iron. Thanks for sharing!